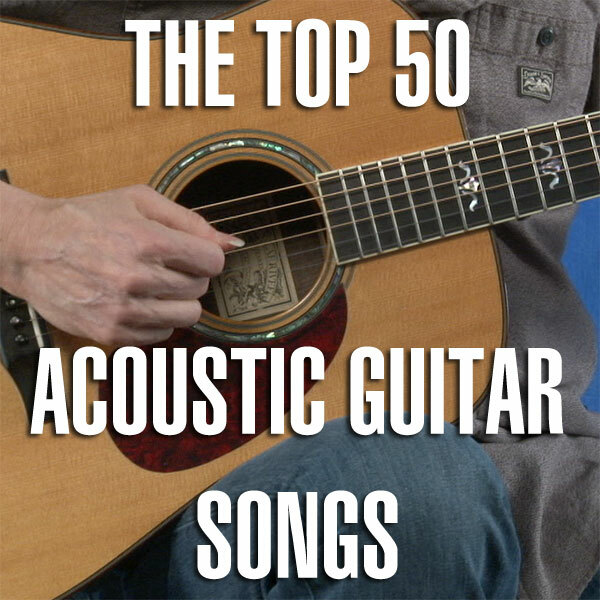 Guitar World created a list of the Top 50 Classic Acoustic Rock Songs. Unfortunately, it was hidden in an annoying slide show and didn’t actually teach you how to play any of the songs. We have the full list below along with a link to the best video lesson/tabs/chords we could find for each song. Some are beginner level and easy to play and sing along with friends, some feature iconic acoustic guitar licks, some use fingerpicking, but mainly they are fun to play. For more great instruction, check out some free acoustic guitar lessons including Famous Chord Progressions & Strum Patterns.